Microbrewed has been around since 1994 and has since grown to be one of the most respected beer clubs out there. These guys are seriously passionate when it comes to craft beer and want you to experience some of the best beers they’ve been able to get their hands on. Microbrewed has said it simply: Expert Selected. Dedication to Quality. Unmatched Variety. Founder, owner, and beer expert, Kris Calef, makes sure of it. 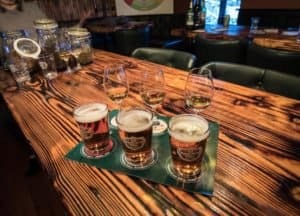 In addition to the Rare Beer Club, Microbrewed also has three other types of beer clubs that include, The U.S. Microbrewed Beer Club, The U.S. and International Variety Beer Club and The International Beer Club. With this awesome of a beer club variety, I’m fairly positive you’ll be able to find something that you’ll love. The Rare Beer Club was originally founded by Michael Jackson (haha, not the king of pop) who was one of the most famous beer experts worldwide. His taste buds were obviously very sophisticated and would not stand for a mediocre beer. This is why this beer club has the ultimate selection of incredibly tasty beers from around the world. If you’re looking for a service with extremely complexity craft brews that you would have never been able to get, this is it! 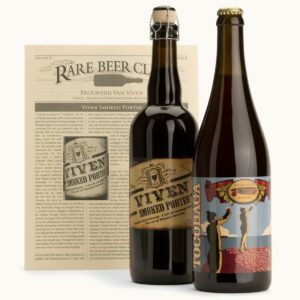 The Rare Beer club includes two different rare beer selections in 750ml bottles. They give you the choice of how many bottles of the two picks you would like: 1 bottle, 2 bottles, or 3 bottles. So, with the 3 bottle club, you’ll be getting 6 bottles total in two different selections in each shipment. 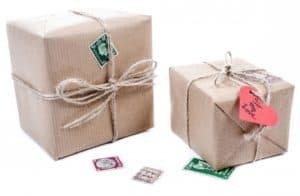 Like the other clubs, Microbrewed offers, you’ll be able to choose how many shipments you would like, what month the delivery begins and how often the purchases will be delivered. 6 The Rare Beer Club Review: What’s The Verdict? As with any rare beer club, the variety each month isn’t going to be as large as your typical craft beer club for obvious reasons. However, you will still never get the same beer selection twice. Each selection is limited release and includes a variety of brewery, country, and style, which ensures that you’ll get a great selection of 2 different handcrafted brews for the world’s best brewers. Microbrewed puts no limits on the type of beer they select and offer nearly every single type out there, not just mainstream styles. Some of their more recent selection included barleywines, Belgian abbey ales, farmhouse ales, a variety of cask-aged ales and my personal favorite Russian imperial stouts. Most of the beers that you find in your shipment will be cork finished and brewed to give you the option to age. If you’re entirely in love with a particular months selection, Microbrewed gives you the option to order a case at a discounted price! Their monthly beer selection process is seriously second to none and is a step above the rest. For a beer to show up at your doorstep, it must go through a highly in-depth selection process. This ensures that you’ll only be getting the unique, flavorful, hard to find beers out there. I’ve read about some beer clubs that do not personally try the beers before shipping them; they just assume they’ll be good. No assumptions are being made at Microbrewed. These are not just some ordinary dudes like us judging and selecting these beers. The panel of judges at Microbrewed has over 100 years of combined experience in the craft beer biz. They have been featured as judges at numerous beer events, festivals and beer competition including the Great American Beer Festival. They guarantee that you’ll only get top quality rare craft beers. When and if the craft brew is officially approved and selected by the beer experts, you will see it in one of the upcoming beer shipments. These judges are extra picky when it comes to selecting beers for The Rare Beer Club to ensure that you only get the best tasting, most rare beer selection out there. Things are always more enjoyable when you have someone to share them with, which is why Microbrewed has established an awesome online community. 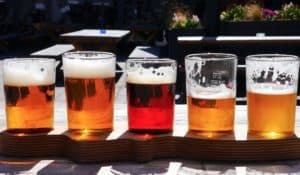 If you can’t seem to convince your buddy to sign up for the beer club with you, this is a great alternative way to share your thoughts on the latest selections of craft beers. Each Rare Beer Club shipment comes with a newsletter that includes things like tasting notes, ingredient profiles, brewery history and suggested food pairings. 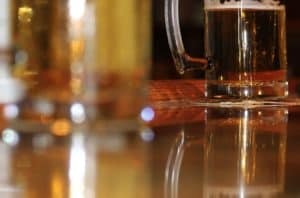 The Microbrewed blog includes even more info than the newsletter and has interesting articles on beer education, upcoming beer events and more. In addition to the newsletter and blog, Microbrewed also has a Facebook page that allows members to interact with each other and share their thoughts on the latest selections. This also allows members to meet other beer enthusiasts who also share the same passion for beer as they do! The Facebook page will also keep you up to date on current events in the beer world and not so important, but funny meme posts about beer. If you’re looking for a beer club with an awesome community of beer lovers, this is it! With 20 years of experience shipping beer, Microbrewed knows what they’re doing. I totally understand if you’re a bit skeptical of getting beer shipped across the world, but trust me, these guys know what they’re doing. Each beer shipment is carefully packed and shipped at just the right time. They completely understand that it is best to ship certain types of beer at certain times of the year to ensure that you’re getting the best possible flavor. Building a trustful relationship with every one of their members is very important to Microbrewed, which is why they are able to offer a 100% satisfaction guarantee. This means that they are willing to replace or refund any purchased product. With over 750,000 customers and an A+ rating from the Better Business Bureau, what could you possibly be worried about? The Rare Beer Club Review: What’s The Verdict? The Rare Beer Club is actually the personal favorite club of Kris Calef (the owner of MonthlyClubs.com), and I’ve got to say, it’s probably mine too! This is the perfect club for anyone looking for the rarest and best tasting beers out there. If you fit that demographic, then what’re you waiting for!? You’ll be hard pressed to find a higher quality selection. Here’s their website.